Carbide Tipped Dowel Drills, Hinge and Thru_Hole V-Point Boring Bits Sharp Tech Inc.
Two styles of tools are available in this series. 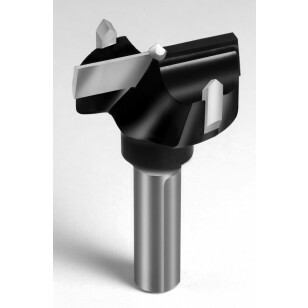 The brad point drill is designed to cut blind holes and produce a clean edge on the top surface. The 60 Degree Through Hole Drill is designed to produce through holes with clean edges on both sides. Note: Part numbers with the SC suffix are Solid Carbide. All others are Carbide Tipped.